You seemed to really like seeing all of my “real life” Summer outfits in one place on Monday, which was awesome. 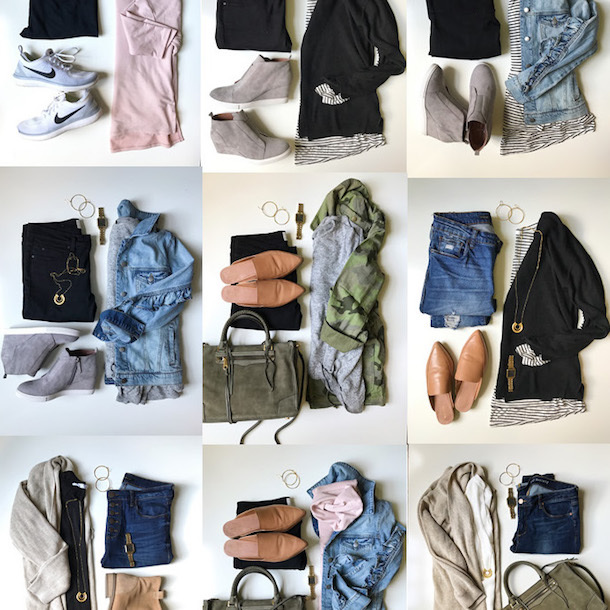 I recapped all of my most recent insta-outfits and even detailed my top 5 most worn pieces. You can read the full post HERE. On Tuesday I shared my Father’s Day Gift Guide, which I made really easy for you guys…everything is either FREE shipping of can be shipping via your Amazon Prime account. Win Win! The most popular gift idea was this pair of flip flops. I shared a review of my hubby’s and what they looked like after 3 years of wear on Instastories and SO many of you messaged me saying more of the same! The quality is amazing and they will provide multiple years of wear for your investment. 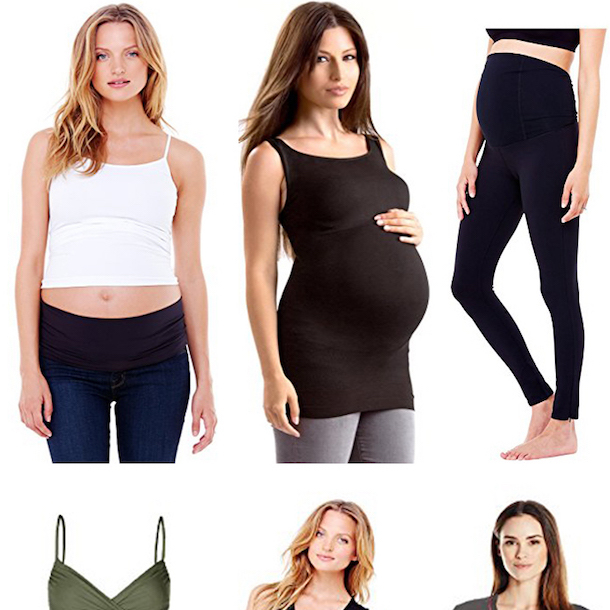 Shop them HERE, shop the board below or read the full post HERE. Finally, yesterday I tried something new and you guys liked it! WHOHOO! I’m telling you the reasons behind it in the full post (read it HERE), but I’m definitely excited to get started. 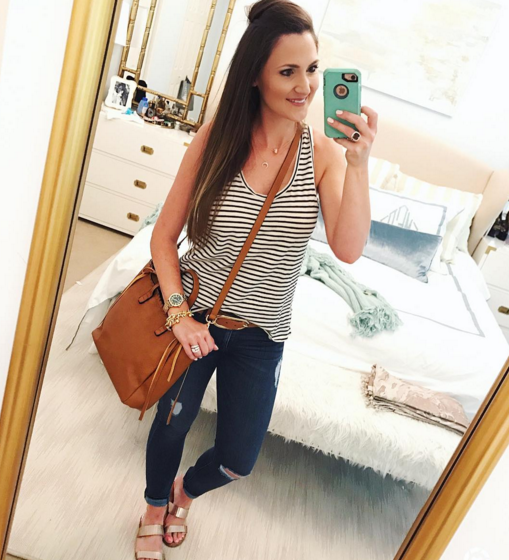 This was your favorite casual look from the post, the top is a little boho, but still feminine and these denim shorts get perfect reviews! This was definitely the most loved Instagram this week! 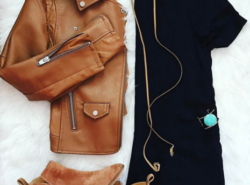 You guys went nuts for this top and it’s definitely worth the hype…especially for $39!!! Shop it HERE. P.S. I also found it in just plain chambray too!!! See it HERE. 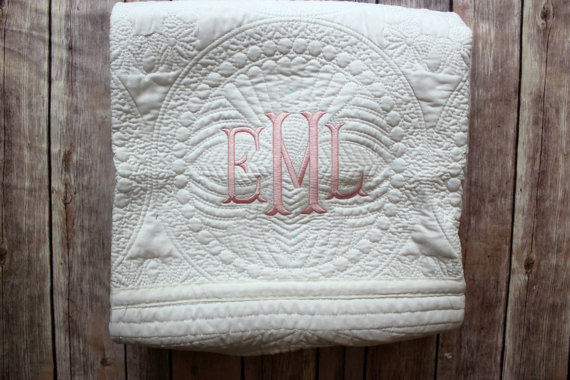 I was sent one of these monogrammed baby quilts (I’ll show ours on Insta-stories today) and cannot get over how darling it is, especially for the $45 price tag! What an awesome gift to give someone who’s having a baby! Shop it HERE. 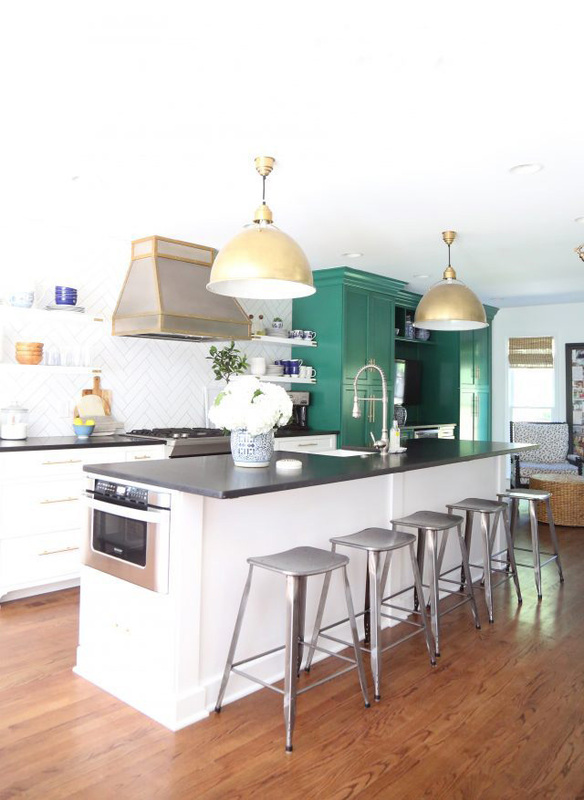 My girl Emily knocked it out.of.the.park with her white + green kitchen renovation! See all of the amazing-ness HERE. 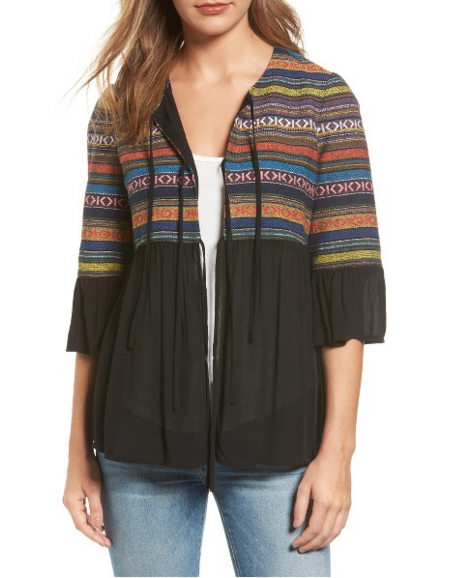 Shopbop has tons of new Free People arrivals and I scooped up this top the minute I saw it. 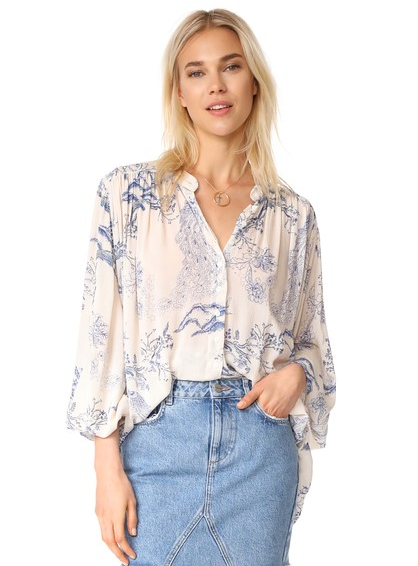 I love the flowy fit and it’s definitely nursing friendly. Y’all I’m dying! 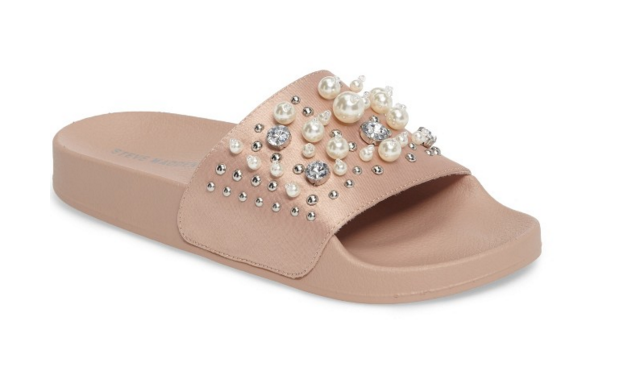 I can’t make myself do the super sporty Adidas slides…but pearl embellished blush slides…that’s something that I can get behind!!! 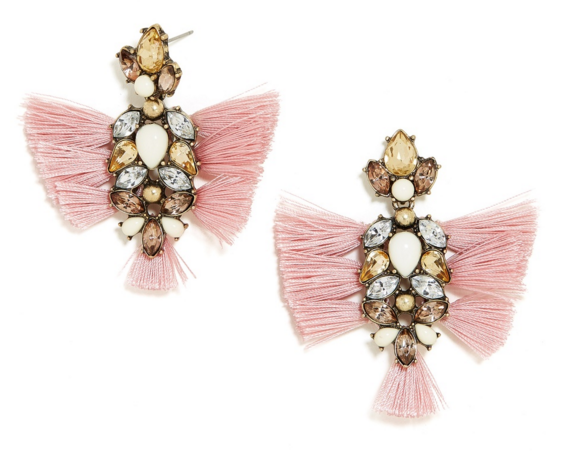 These come in black and blush and are so easy to slip on and head out of the door! Shop them HERE. Also, these are about $550 LESS than one of the designer versions. 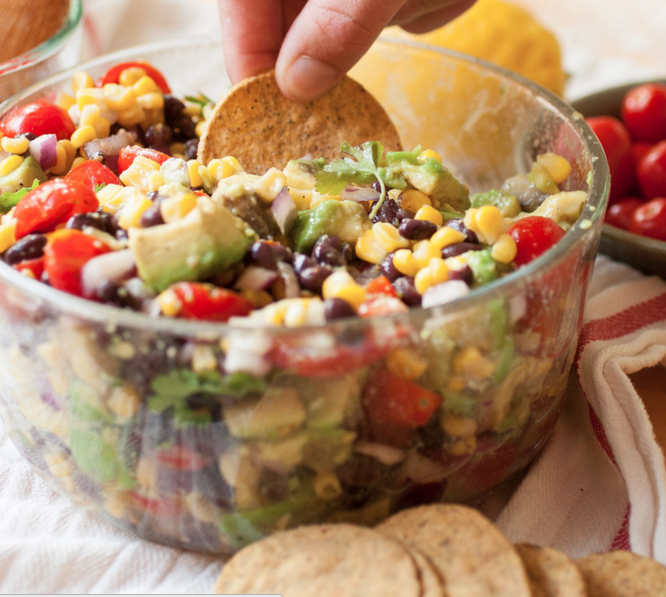 This is one of my favorite Summer dips to make for a crowd. Just added all of the ingredients to my shopping list so that I can make it to bring to the pool this weekend! 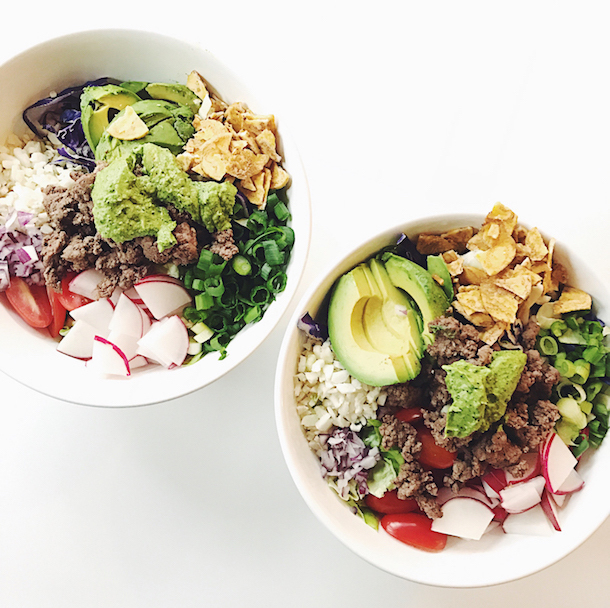 See the recipe HERE. 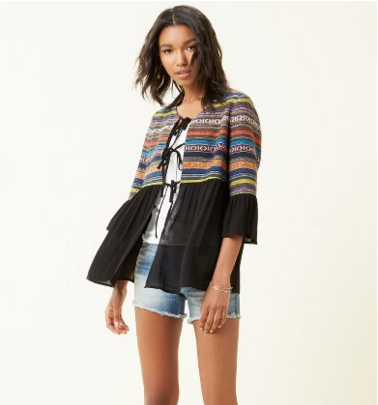 I also stumbled across this little embroidered gauze jacket and feel like I *need* it, right? 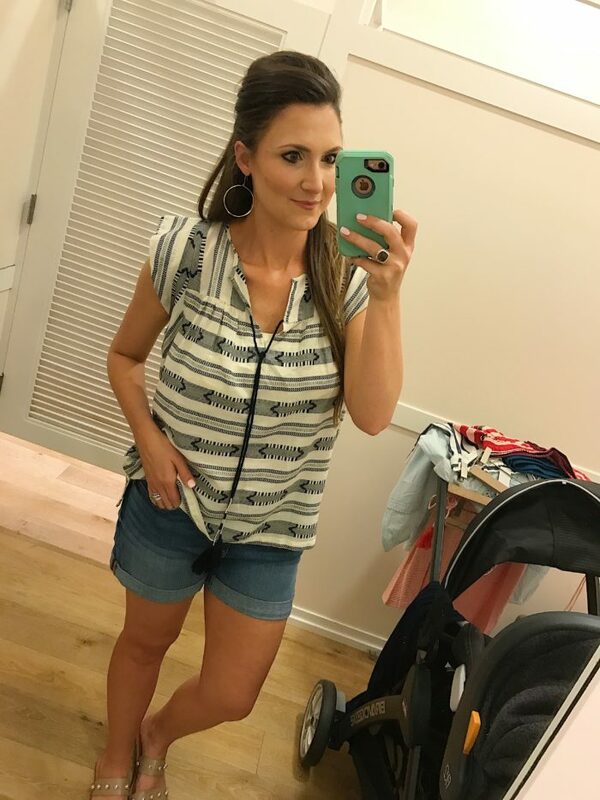 So cute with denim shorts and a fedora for a fun Summer look and definitely nursing friendly for me since I can just wear a nursing tank underneath. Shop it HERE. 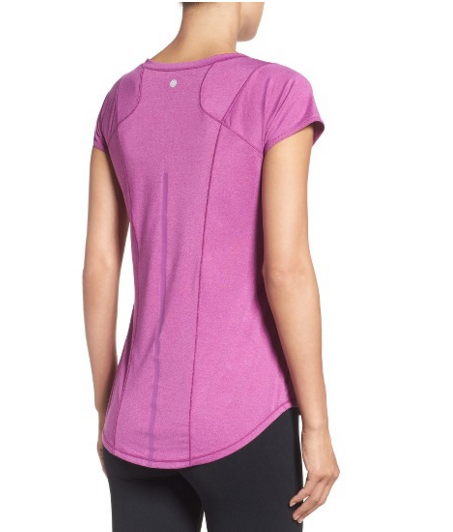 A few of you asked for more full coverage tops to wear with your Summer Athleisure Uniform and I thought that I’d share this awesome Zella basic tee that I found ON SALE! It’s fuss free and has a super flattering hemline, making it longer in the back (which we all know I love). 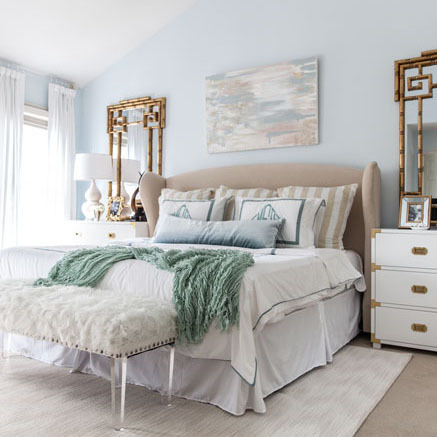 It’s currently 40% off in 3 colors and is $29! Shop it HERE. These are amazing. That’s all…. Did you guys know that Nordstrom now carries Reese Witherspoon’s clothing line called Draper James?? It’s a little pricey but oh my goodness IT’S.SO.CUTE!!!! 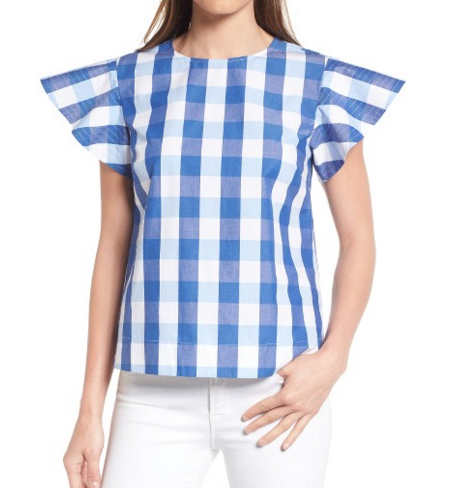 Look at this top for July 4th festivities! Shop the top HERE and see the full line HERE. If your guy likes Banana Republic, they have a tons of mens essentials marked down for Father’s Day. 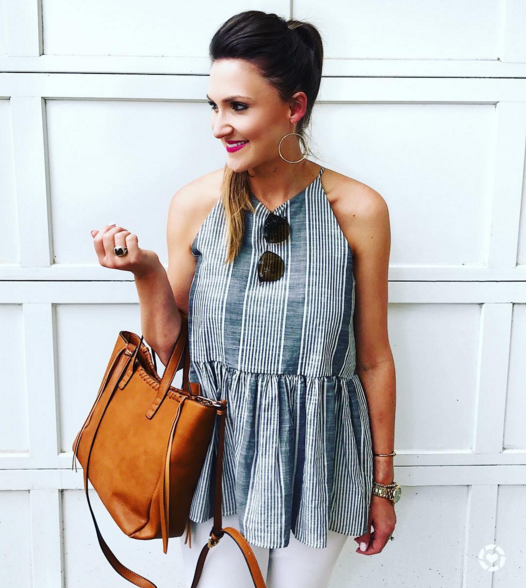 Loft is has 50% off of dresses + tees and tanks! 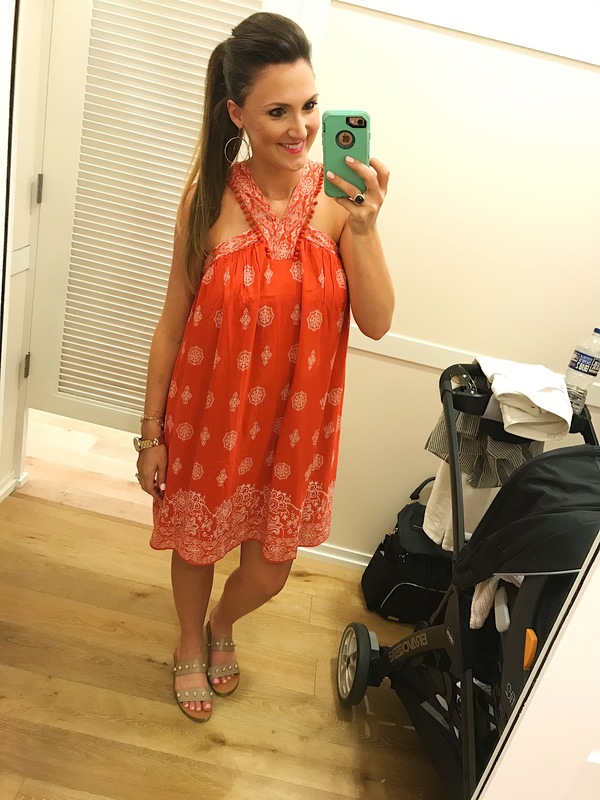 See yesterday’s fit review for lots of cute dresses to shop! Old Navy is offering up to 40% off of all dresses and up to 50% off of everything for Dad! J. Crew is offering an EXTRA 30% off of styles that are already on SALE! Also, don’t forget that the Nordstrom Anniversary Sale 2017 is less than 5 weeks away!!!! 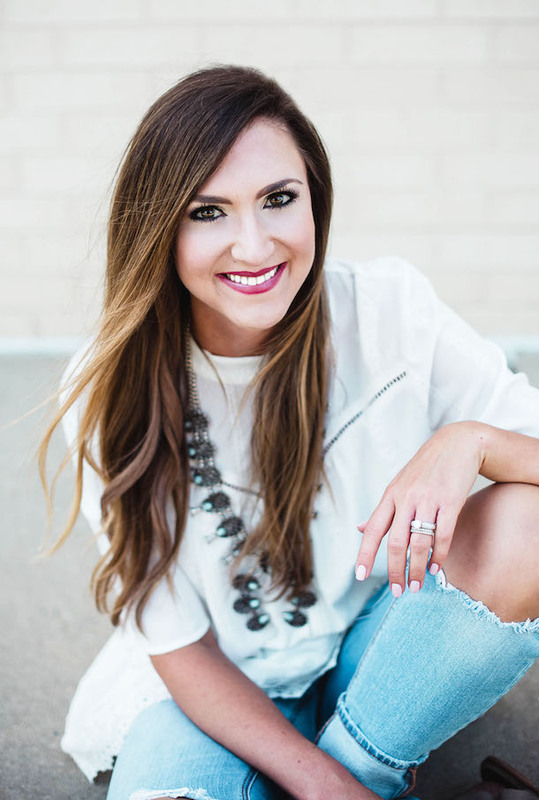 Stay tuned for more information, but make sure that you’re signed up for emails and please refer your friends, as I’m going to make it a one stop shop! I hope that you guys have a wonderful weekend…see you back here on Monday! 20 Tips for Planning a Disney Vacation!